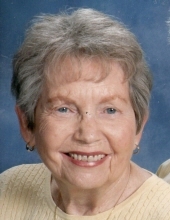 Thelma Millikin Coatney, 85 of Bloomington went home to be with her Lord, Sunday, February 3, 2019 at The Villas at Hollybrook. She was born on a farm June 21, 1933 in Perry County, Illinois, daughter of Charles and Frances Millikin. Three sisters and a brother preceded her in death. Thelma graduated from Pinckneyville High School and also from Southern Illinois University in 1956 where she was also a lifetime member of the SIU Alumni Association. She married Willis Coatney on December 18, 1955 and enjoyed sixty-three years together. He survives along with her three daughters, Nancy (Rick) Hoffarth of Harrisburg, NC, Sherry (David Niemi) Coatney of Minneapolis, MN and Ann Coatney of Denver; three grandchildren, Katie (David) Tasillo, Will (Erin) Hoffarth and Sheri Hoffarth, and three great-grandchildren Cooper and Kennedy Tasillo and Elias Hoffarth. Thelma was an active member of Wesley United Methodist Church in Bloomington and was also involved in the Tuesday morning bible study group and a former Stephen Minister. She was also a member of FM Chapter of PEO. She retired from Commerce Bank in 1994 after many years as an executive secretary. After her retirement she volunteered for many years as a teacher of adult GED students, as well as Faith in Action. Thelma and Will loved golf and often played together. She was a part of the ISU ladies league. She also enjoyed gardening, sewing, cooking, playing bridge and other games, traveling to new places and visiting her children and grandchildren. She will be missed for her love of the Lord, being a prayer warrior and laughing with friends and family. A memorial service to honor her life will be Thursday February 21, 2019 at 11 AM at Wesley United Methodist Church. Reverend Sara Isbell will officiate. There will be a visitation from 10-11 at the church. Calvert & Metzler Memorial Home in Bloomington is handling arrangements. In lieu of flowers, donations can be made to Wesley United Methodist Church. "Email Address" would like to share the life celebration of Thelma E. Coatney. Click on the "link" to go to share a favorite memory or leave a condolence message for the family.